The Port of Seattle has reported on its 2014 financial performance, stating that the organization is in a strong financial position for 2015. While total operating revenues essentially met budget for 2014, expenses were nearly 5 percent below budget - as a result, net operating income was 6 percent above budget. Most lines of business showed strong overall financial performance. In 2014, Sea-Tac International Airport passengers increased 7.7 percent above 2013. This reflects new scheduled flights, primarily by Alaska and Delta, with much of the new seat capacity added in the second half of the year. The airport’s strong passenger growth drove particularly strong financial results in parking, dining, retail, rental car, and other non-airline revenues that came in 8.6 percent above budget for the year. Seaport net operating income exceeded budget by $1 million, as TEU volume dropped 11 percent from 2013. Grain volumes were up 168 percent from 2013, at 3,618 metric tons, and 64 percent over 2014 budget. 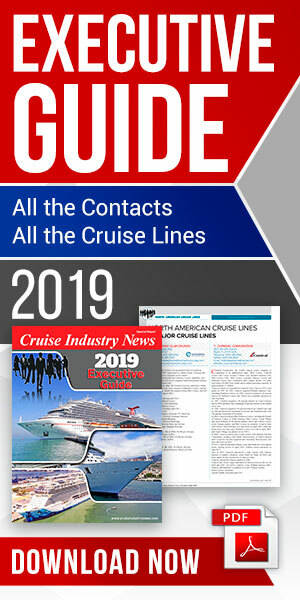 Cruise showed another strong year, with over 800,000 revenue passengers for the seventh year in a row. The Real Estate Division showed a net operating income that exceeded budget by nearly $2 million, with port commercial properties at 93 percent occupancy, above the year-end 2014 Seattle market average of 92 percent. Recreational marinas were at target occupancy of 96 percent. A number of other key business events were accomplished in 2014, including the following: Planning began for renovation of the North Satellite and International Arrivals Hall at Sea-Tac International Airport; Terminal 5 began the process of modernization to make it “Big Ship Ready;” the SODO Business Improvement District was launched with the City of Seattle and businesses and property owners; the port achieved agreements with the Muckleshoot Indian Tribe and the Suquamish Tribe to return to the tribes Native American cultural materials; a project list was finalized as part of the joint Freight Access Project and launched the Freight Master Plan with the City of Seattle; the City of Seattle’s Shoreline Master Plan was successfully negotiated; and an Economic Impact Study of the Port of Seattle was completed. Including both operating and non-operating revenues, overall 2014 total revenues were $742.4M, $11.9M higher than the budget and $8.2M higher than the 2013 actual. 2014 total expenses were $611.0M, $41.7M lower than the budget and $11.8M lower than 2013 actual. The Port’s bottom line net income for the year was $131.5M, up $20M, or 18 percent 2013.